Tea is the unofficial, official drink of India. And being a true Indian, I like to begin my day with it. So when Shashank asked me, if I wanted to review Ammiji’s Chai Masala, I jumped on the opportunity quite eagerly, even though we don’t use tea masalas at home and usually just stick to ginger and tulsi for flavor. 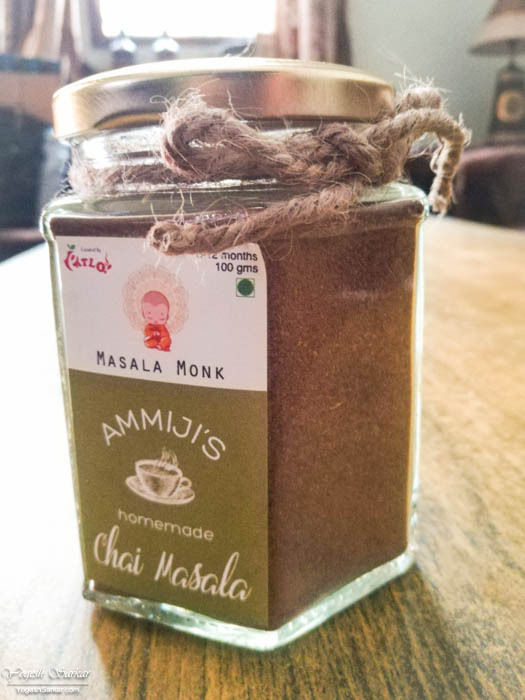 Ammiji’s Chai Masala is curated and sold by Masala Monk and is homemade with quality ingredients. And even the jar it arrives in is quite lovely. Opening the jar reveals a strong yet delicious aroma of cinnamon and cardamom, though there are other spices present as well. Sadly though, neither the bottle nor Masala Monk’s website provides a list of ingredients and I am not an expert who can identify them distinctly and accurately by taste or smell. However, the blend of the spices is quite good and the flavor as delightful as the aroma. Initially, I was confused about the quantity of masala that ought to be put in tea, since there is no recommendation for it on the bottle or on the website. Putting half a teaspoon of chai masala in a couple of large cups of tea produced delicious yet strong flavor and putting half that amount, provided a subtle yet distinct flavor that I really loved. Of course, your mileage might vary, based on how strong you would like the flavor to be. Overall, I really loved Ammiji’s Chai Masala, for it added flavor to the tea, I never really knew I wanted, until I tasted it. The only complaints I have is the lack of ingredients list and no recommendation for the amount of masala to be used in tea, which can be confusing for people like me, making masala tea for the first time. Apart from these, I think Masala Monk has managed to hit the nail right on the head and has come up with a Chai Masala that is both delicious and aromatic enough to satisfy Masala tea lovers and get newbies like me, hooked. 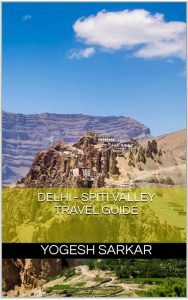 Ammiji’s Chai Masala can be bought online from Masala Monk’s Official Website. Being a big tea fan I always search something new regarding tea.Will try this ChaiMasala for sure. 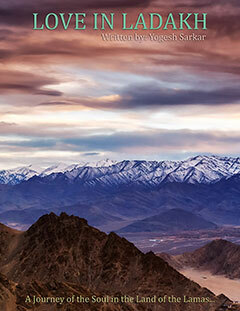 I am sure you will love it :).